Voting will take you only a minute or two and every vote counts. The annual meeting is coming up on May 31, 2018. I voted with the Board’s recommendations 0% of the time. Facebook’s corporate governance needs a makeover, away from dictratorship. View Proxy Statement via SEC’s EDGAR system (look for DEF 14A). Read Warnings below. What follows are my recommendations on how to vote the proxy in order to enhance corporate governance and long-term value. From the Yahoo Finance profile: Facebook, Inc.’s ISS Governance QualityScore as of May 1, 2018 is 10. The pillar scores are Audit: 2; Board: 10; Shareholder Rights: 10; Compensation: 10. That is about as bad as it gets. Corporate governance scores courtesy of Institutional Shareholder Services (ISS). Scores indicate decile rank relative to index or region. A decile score of 1 indicates lower governance risk, while a 10 indicates higher governance risk. Therefore, we need to pay closer attention to Board, Shareholder Rights and Compensation. Corporate Governance at FB is among the worst, because our company is basically a dictatorship. The trains may run on time, but the direction by one person will lead to “accidents” along the way. Egan-Jones Proxy Services recommends Against for Marc L. Andreessen, Peter A. Thiel, and Mark Zuckerberg because, among other reasons, they do not consider directors serving for longer that ten years to be independent. A majority of the members of the nominating committee are not independent. The directors are essentially pawns of Mark Zuckerberg. Voting against all will send a message that shareholders want an independent board. See also PX14A6G from SumOfUs, an institutional shareholder of Facebook, urging Withhold on the election of Mark Zuckerberg to the Board of Directors at the annual meeting of Facebook shareholders on May 31, 2018 and a vote FOR Shareholder Proposals Four and Six, to appoint a Risk Oversight Committee and issue a Content Governance Report, respectively. Additionally, I question the Board’s timing of the appointment of a new director, Jeffrey Zients. They are dodging a shareholder vote by appointing him after the meeting. The handling of the new director’s appointment reflect’s Zuckerberg’s insensitivity to shareholders who want to see greater accountability from Facebook. 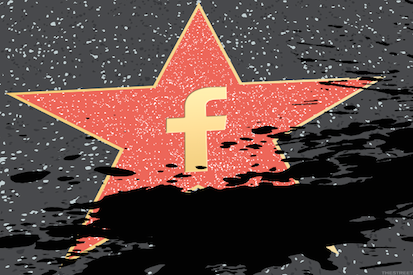 Writing in the FT, CalSTRS’ portfolio manager Aeisha Mastagni questioned Facebook’s unequal voting rights, asking “why does Mr Zuckerberg need the entrenchment factor of a dual-class structure? Is it because he does not want governance to evolve with the rest of his company? If so, this American dream is now akin to a dictatorship.” Ms Mastagni in the op-ed called for an end of dual-stock structures and hinted that sunset provisions were the antidote to the problem. I have no reason to believe the auditor has rendered an inaccurate opinion, is engaged in poor accounting practices, or has a conflict of interest. However, Egan-Jones notes the auditor has been serving for seven more than seven years, so years and their independence is compromised. They recommend voting against. They also note several other issues. While the ratio of non-audit fees and total fees does not exceed 50%, I think it is worth noting it is far higher than most and could possibly lead to a conflict of interest, especially when combined with length of service. I also believe that the companies should consider the rotation of their audit firm to ensure auditor objectivity, professionalism and independence. I have not set a specific number of years. This proposal is from NorthStar Asset Management. We co-filed a similar proposal with them at Alphabet this year, to recapitalize stock to allow one vote per share. The current dual class structure allows certain stock to have more voting power than others. Our Company took money from public shareholders but does not let us have an equal proportionate voice in the company’s management. Facebook founder Mark Zuckerberg personally controls the firm with over 51% of the vote, though he owns only 14% of the economic value of the firm. Allowing one vote per share generally operates as a safeguard for common shareholders. Egan-Jones recommends For. A similar proposal was voted at the 2014, 2015, 2016, and 2017 annual meetings, which received support from 17.2, 19.1, 16.0, and 20.2% of votes cast, respectively. Insiders currently hold 60.4% of the company’s voting power, so the support for this proposal from unaffiliated shareholders has been substantial. See NorthStar’s PX14A6G filing, in response to FB opposition. The sheer volume, magnitude, and frequency of Facebook’s controversies strongly suggest the company’s whack-a-mole approach is insufficient – Facebook needs to institutionalize stronger risk oversight mechanisms. Existing risk oversight structures appear to lack the dedicated focus Facebook needs. Facebook can learn from Microsoft’s history of public and government scrutiny and adopt a similar committee structure. Given the current controversies which have caused serious reputational risks to the Company, we believe that establishing Risk Oversight Board Committee will enhance accountability and will ensure that appropriate actions will be engaged by the Board in order to mitigate the risks associated to issues such as user privacy, cybersecurity, fake news and other relevant concerns raised by the proponent. This is my proposal (James McRitchie) co-filed with NorthStar Asset Management, Inc., so of course I voted For. Supermajority requirements are used to block initiatives supported by most shareowners but opposed by a status quo management. The majority of S&P 500 and S&P 1500 companies have no supermajority voting requirements. 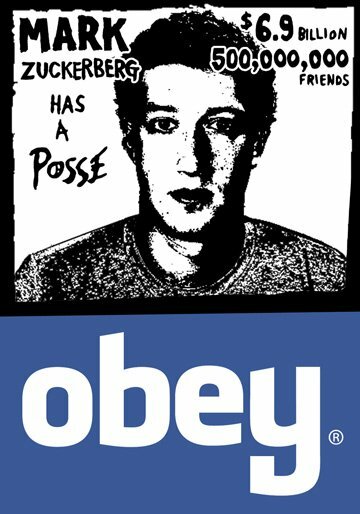 Mark Zuckerberg and affiliates own 89% of Class B shares, or 60% of total voting power. However, a provision of the charter specifies that when Class B common stock represents less than a majority of the total voting power, revisions to the bylaws and certain provisions of the charter will require at least two-thirds of the voting power of the company. Therefore, even if those shares are sold off or converted, supermajority vote requirements could impede the ability of shareholders to approve ballot items that are in our interests. A simple majority standard will give the shareholders equal and fair representation in the Company by limiting the power of shareholders who own a large stake. This proposal was submitted by Arjuna Capital, Illinois State Treasurer, Harrington Investments, Baldwin Brothers and Comptroller of the State of New York. FB provides information steps taken to improve transparency of content management process and risks to its brand. FB’s Community Standards provide users with information on what type of sharing is allowed. However, FB seems to be responding to each content management-related controversy on a case-by-case basis. This proposal requests additional disclosure re enforcement of its terms of service, with statistics on flagged content, how quickly such content is removed and other metrics. See Arjuna Capital’s PX14A6G filing. I am not sure who could doubt the need after testimony in Congress that 126 million Americans may have viewed Russian propaganda on Facebook’s platform in the lead up to the 2016 U.S. presidential election. Facebook discusses its gender pay equity-related initiatives in its 2017 diversity report and established a number of initiatives related to gender and ethnic diversity. However, it does not adequately address reported systemic bias. The additional information requested by this proposal would provide shareholders with better information on the effectiveness of Facebook’s diversity initiatives. This proposal was submitted by the AFL-CIO Reserve Fund, asking the company to adopt and disclose a set of responsible tax principles. The IRS found that Facebook structured the transfer of assets to its Irish subsidiary to shift profits from the US It issued a “Statutory Notice of Deficiency” for the tax year 2010. I think such tax avoidance is becoming too common among US Companies. We could all benefit from a more robust discussion of the issues by Facebook. As I write this on May 27, Proxy Insight had reported on Texas Teachers, which voted for all items except for item #8. Australia’s Local Government Superannuation Scheme both voted all items except Ryder, Weeks, and item #8. CBIS voted against all directors, the auditor and item #8; for all other shareholder proposals. Domini voted against all directors and for all other items. Both voted for both shareholder proposals. I also looked up Trillium’s votes. The report I found showed them voting against directors, for the auditor and for all the shareholder proposals. More analysis at Facebook shareholder proposals expected to get a warmer reception after data misuse fallout, copied from the Globe and Mail. You may present proposals for action at a future meeting or submit nominations for election of directors only if you comply with the requirements of the proxy rules established by the SEC and our amended and restated bylaws, as applicable. In order for a stockholder proposal or nomination for director to be considered for inclusion in our proxy statement and form of proxy relating to our annual meeting of stockholders to be held in 2019, the proposal or nomination must be received by us at our principal executive offices no later than December 14, 2018.